I am joined on today’s show by Ed Daniel. Bit of a coup. Ed is one of Europes leading OSS evangelists but like me shares a background in process management ITIL, security and enterprise enablement. Ed works for Normation and was in London attending DevOps and I didn’t have to push very hard to get him to sit down in front of my microphones. This podcast is really for the companies who are thinking about deploying Cloud, who are thinking security hardening, process management, ITIL, PCI-DSS, ISO standardisation, deploying against Cloud Security Alliance or SELinux guidelines. If you’re a service provider too this podcast also helps you. It’s your opportunity to hear myself and Ed try and give you a steer on designing your cloud and to get to deployment safely whilst growing the frameworks around Cloud management. We talk ManageIQ/Cloudforms, how audit and logging is essential, OpenStack and Ceilometer, Heat etc etc. How you should engage with a Cloud provider or upstream vendor. This is one of those difficult conversations which you rarely hear and that is designed to get you to a point where Open Hybrid Cloud can become a reality. We don’t always agree but between the two of us we try to get you to a point where you are armed to safely and securely start designing and consuming Cloud compute capacity. Download the podcast in MP3 format here – or alternatively browse the RSS. After being disrupted by the snowstorms in the UK John and I finally met up and recorded this podcast at the Red Hat offices in Farnborough here in the UK. This is what fell out of that session, hope it’s helpful and gives more context technical details around what ManageIQ brings to Red Hat. It’s already available on Apple iTunes (download the Podcast client from the Apple Store), Podfeed.net and will be synced with Stitcher Internet Radio very shortly as they update their RSS feeds. Come back more next week I’m going to be releasing a podcast on Wednesday / Thursday this week and then recording a lot of content at FOSDEM in Brussels weekend of 2nd/3rd February. If you’re going come say hi – who knows you could end up on a podcast ! Keeping auditors happy whilst also being able to deliver business as usual computing is a given, how you actually deliver that in an always on elastic hybrid cloud environment can therefore be a quandry that will have obvious challenges in operational IT normality married to a non-liberal but dynamic focus on Cloud service adoption. If you accept that Cloud is skirting around the traditional framework of the computing norm which in it’s hybrid form adds a new complexity with layers of public and private clouds. Add the very real demands of applications running across two heterogeneous platforms and shake. Cloud cocktail and you’ve got to manage it. It also is a major boost for Open Hybrid Cloud for those affected by HIPAA. This article isn’t aligned solely to HIPAA and will concentrate on governance of all types affecting Cloud. However, it will let you get under the hood, and understand why working with Red Hat Open Hybrid Cloud technologies can sometimes be the differentiator in working out your next move to Cloud. So when you’re looking to work with a HIPAA certified Cloud Platform Provider this latest release at least allows you to be better educated to make a judgement call and to have necessary contractual conversations where required. You’d hope. A lot of the self certified providers as I pointed out will now be poring over their service level agreements and architectures with a fine tooth comb given that the latest guidance actually means that they are going to have to take apart – Lego style – the most fundamental tenents of their Clouds. For existing customers who have signed up to HIPAA compliant Cloud providers for Hybrid service consumption or upstream elasticity I have a suggestion for you and it’s a call to arms that should not be dismissed lightly. In May Gartner published a report stating that most enterprises (45%) would be moving to a hybrid cloud adoption model by 2015. Thats a lot of businesses if you align yourself with Gartner’s research, and in the same report 50% of the businesses questioned had no formal guidance or compliance wrappers in place or defined processes as to how they would get to Cloud. So it’s at this point we type a simple query into your favourite search engine of choice for HIPAA compliant cloud and you get a multitude of Cloud providers pop up who look to have been offering “HIPAA Compliant Clouds” for some time. On the back of last Thursday’s report you have to wonder how many legal eagles they have working for them to allow them to actually either backtrack or to redesign their services whilst not diluting their profit margins given they’re now having to re-architecture their platforms. So why does using Open Hybrid Cloud allow you to get to governance compliance faster and more efficiently ? To understand that we need to understand that the very nature of what we do at Red Hat to enable and arm enterprise customers to get to Cloud is based on transparency and importantly flexibility built on supported Open Source technologies. In previous lives the sprinkling of the term “transparency” and “Open Source” in an article discussing governance types and critical workloads might have been seen as tricky to embrace but it’s 2013, enterprise adoption of Linux and especially supported certified Red Hat Linux has never been greater. And saying nothing isn’t an option. Understanding service, understanding Cloud service catalogues and how we deliver technology in Cloud – it’s never been more important. Integration across platforms and factor in the need for analytics and understanding how we do stuff better and on the fly. It’s a huge amount of pressure for management and we consider that we have a credible story to tell you. Our adventures with the launch of OpenShift Online and now the release of OpenShift Enterprise has given us a massive boost from a research perspective in that we are able to see at a granular grassroots perspective just how agile development in Cloud actually is. The speed at which new applications are developed and launched, what languages and cartridges are utilised in their makeup and also how behaviour is driven across the Cloud developer community. There is a culture shift going on and if you read Venturebeat, or Infoworld or some of the great thought leadership pieces coming out of Burton, Gartner or the CIOForum then you’ll already be up to speed as to how they view cloud application development as critical to the mass being given as companies see Cloud as the most critical business decision they’ll make in the next three years. 2) that we’ve moved away from a culture of a box of CDs arriving from Microsoft every quarter with the latest greatest version of Visual Studio or MSDN, that the average developer manages his or her own development workstation (unless you’re switched on and you’ve adopted a corporate flexibility around JBoss Developer Studio like the big guns). That the pressures of having an army of developers with their IDE of choice and their own GitHub account hasn’t yet factored into your Cloud thinking. These two critical factors should be a driver enforcing you to ask a question. “How do I get to Cloud and manage my risk appetite aligned with our ambition and needs ?”. How do I unify this as we move away from earlier more static environments and how do I do this without slowing down my developers and encroaching on my ability to deliver Cloud ? You first enlist the help of the most critical part of your infrastructure, not your servers or switches, not the SLA you signed with Verizon or AT&T but your largest single investment as an organisation. Your team. The body of passionate developers and architects who are the vehicle driving your ambition for your Cloud story. And if they’re developing using Open tools, relying on Open methodologies for getting their source trees and their coding efforts to deliver your companies life breath for application development. Whether your choice of hypervisor is KVM, Xen, HyperV or VMWare the raw ingredients of your Cloud remain the output of your teams harnessed efforts so listen to them and whilst paying attention start to think out the steps needed in your planning for your processes. But beware. Your team is creative and dynamic but potentially they’re also your biggest challenge as your role as CIO changes with Cloud’s new demands. Especially in an Open Hybrid Cloud. Technology advancements, modifications and changes in development environments and platforms all need to be reflected into a management platform flexible enough to help you get to the audit mark. With the acquisition of ManageIQ Red Hat have added to our stable a new suit of armour – a new strength. That of management, reporting, inspection, audit, utilisation and trend analysis and orchestration. These are seven specific core requirements for any CIO that wants to get to Cloud safely and securely. The ability to deploy introspection across your Cloud landscape without the need for agents, even into existing virtualised deployments gives you an immediate perspective on what you own, and how you start to analyse and grow your Cloud deployment getting the most out of your investment – whilst being able to meet governance regimes. Learning and reporting what your Cloud is doing, having a single pane environment to understand your playground is both attractive and allows you to do proper intelligent management reporting at a granular and operational level. Hugely beneficial. Having those datastore alerts and to be able to have a ruleset to allow to you to get the information you need instantly. It’s a very valuable proposition. It’s a great fit with RHEV where ManageIQ has already demonstrated success in interworking with its September 2012 release, and it gives added credibility to CloudForms from an IaaS perspective especially around brokering across multiple heterogenous environments and hypervisor types. Fact that both ManageIQ and CloudForms are both developed in Ruby on Rails also helps further integration even more from a codebase perspective ! Open Hybrid Cloud management working with Red Hat has now never before become more attractive to the savvy CIO wanting to get to Cloud safely and securely. All of IDC, Gartner and Forrester’s uptake concerns for Cloud adoption settled in one easy to acquire technology. Today I am recording a podcast with John Hardy of ManageIQ that we will bring to you shortly, we’d have done it last week but the snowstorms that hit the UK de-railed us – apologies. The webcast IS important as it gives some great credible reporting on industry data from Mary Johnston Turner of IDC that highlights some real perceived issues in Cloud that we’re enabling change to solve by Red Hat’s dovetailing of ManageIQ into our offerings. I’ve been promising to record and release this quick podcast on my take on our acquisition of ManageIQ. I don’t speak for Red Hat on this nor do my views or opinions matter in any way. I look at things from a technology adoption and technology abstraction layer and how it impacts and enhances our abilities in Cloud. If you’re not aware of ManageIQ I’m presuming you’ve had your head buried in the sand for the last three years. Needless to say when I found out about ManageIQ becoming part of Red Hat (subject to all the usual shareholder stuf) I was beaming from ear to ear. ManageIQ are an amazing group of people who really understand the granularity of cloud, the flexibility you need to demonstrate when dealing with elastic architecture but the need to get under the hood and deliver. Quite simply they demonstrate maturity in depth and excellence of the highest order when it comes to engineering solutions across heterogeneous cloud platforms and technologies. Combine that with a virtualisation layer(RHEV/KVM), a storage platform (Gluster – Red Hat Storage), a PaaS platform (OpenShift) and CloudForms and you are effectively delivering an entire orchestration piece that no other vendor, VMWare included, can currently compete with. Seventy two hours on to the minute I am STILL smiling. Here’s my take on it – listen now on iTunes or Stitcher or click the link to the podcast to listen to it in your browser. Come back in 2013 for more content – and remember I love hearing your feedback and your news. Better stories come out of collaboration. 43,000+ downloads of my podcasts since August (thats nearly 580 man days of listening if you stacked each episode end to end) is flattering but I can do better – with your help. Happy Christmas from my family to yours. Have a peaceful festive period and thanks for listening to my work and reading my articles during 2012. I was stood at GigaOM in Holland last week and got involved in a heated discussion over ITIL as a standard in cloud. Tried to point out ITIL is a framework not a standard. Took mental notes while I was there and the result is this short podcast where I can rant and let off steam. The power of the microphone is sometimes awesome and it let’s me educate as well as try to show my enthusiasm for what we’re doing here in Cloud. Also I take time out to talk about the London Developer Day we’re hosting at London South Bank University on the 1st November (thats next week !!) so if you haven’t registered you need to do so asap right now. I recorded a podcast last week with the ultracool talent that is Mr Jon Benedict, CaptainKVM himself. This was another of my practical theory tests on how to record a podcast with someone on the other side of The Atlantic. The problem of course being not making it sound like a Skype call (which it isn’t) and trying also to master it to make sure they sound as local as possible so I can then release it for you guys to listen to. Jon works for NetApp. NetApp work very closely with Red Hat around KVM and around RHEV, their cool project Flexclone really is something else, read Carlos Alverez’s cool paper here for more info. As well as being NetApps guy in North Carolina on everything virtualisation, Jon also is a board director of oVirt which Red Hat commits so much to. He’s also an ex Red Hatter. In the podcast we talk tech about FlexClone, about oVirt, RHEV and the community and board of oVirt and how much goodness it brings to the whole virtualisation arena. If you’re interested in virtualisation management, provisioning, live staging and all the niceties that you take for granted then this is the podcast for you. Thanks to Jon for being another guinea pig in the whole Podcast experiment – so far so good, approaching 5250 downloads as I type this story so thats got to be a positive before I even set up an RSS feed or launch on iTunes. Today I am releasing part two of a podcast I recorded with Rhys Oxenham last week. In this second installment of a podcast thats proved very popular Rhys will be talking about CloudForms, some of the realworld engineering stuff we’ve been working on with partners etc. Rhys talks about how CloudForms solves some of the end to end problems of Cloud provisioning and platform management. For you guys looking at the newly released Red Hat OpenStack Preview this could be really important for you to listen to. 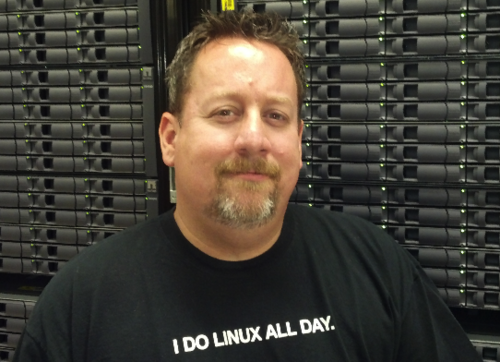 I am recording two new podcasts today with Jon Masters and Duncan Doyle, Jon I’ve known for nearly twelve years and is a leading light in the ARM porting world and a longtime Red Hat stalwart. He recently gave one of the best attended and best appreciated Summit talks in Boston. Duncan and I share a common love of everything JBoss so both should be a lot of fun and I’ll bring them to you asap. Why is there no new content here ?